There’s so much more to love at Especially Yours this season! Black and white and red…all over. Leather-look capes and fluid drape. Chic couture suits, dashiki dresses, boutique shoes and bags. Lace and laserwork, jeweled georgette, asymmetric silhouettes. Hot dots, haute coats and faux fur with real attitude. Plus exclusive glam hair style cuts and colors in 100% styable human hair, carefree fibers and fabulous salon braids without the time and expense. Check out all the new fall style now! Inspired by rich colors and textures of the season…and by your fabulous sense of style. Find the fall look that’s Especially Yours in our exclusive collections. Including chic suits and dresses. Casualwear with unusual sophistication. Boutique shoes and accessories to totally obsess over. Plus glam hair styles in runway cuts and colors, stylable 100% human hair, carefree fibers and salon braids without the time and expense. Preview our new collections now! Your hair color says a lot about you. And being happy with your color can do wonders for your self-esteem and overall confidence. Maybe you’re looking to match your natural color. Maybe it’s time for something new. For a more natural look, choose a color that is close to or lighter than your own hair color. Like your own hair, our colors are created by blending up to 8 different fiber shades to create a color that is completely natural looking. If you’re not sure which color is for you, request our free fiber color samples for a more accurate representation of the color. A subtle color change can create a whole new you. Choose a color that’s slightly lighter than your natural color. Or, if you’re feeling bold, try a shade that’s completely different from your own. 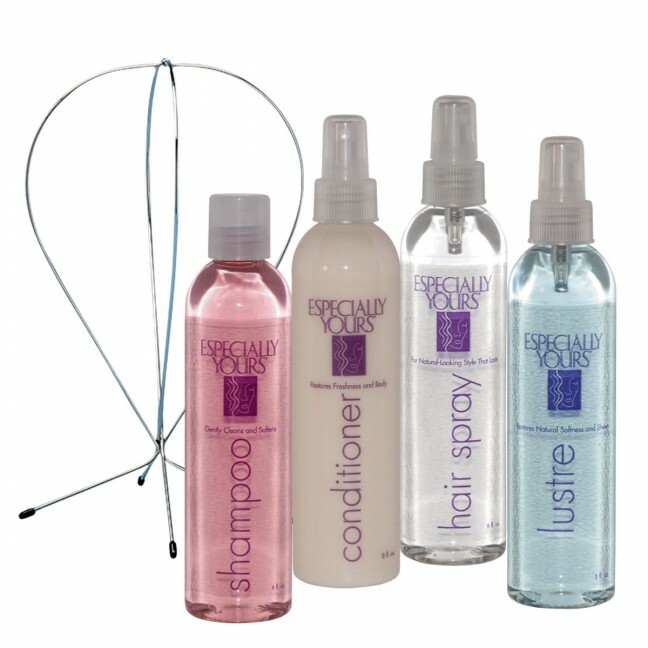 When experimenting with your color, you may want to try our hair integration pieces or highlighted captivating colors. Still have questions about color? Call 1-800-952-5926 and one of our wig experts will be happy to answer all your questions and help you select the color that best suits you. And, upon your request, they’ll send you actual fiber samples so you can see them firsthand. Viewing our color chart should help you in your selection, but on-screen color quality may vary depending on your monitor’s resolution. In order for your wig to fit securely and comfortably, you need to be sure you’ve bought the right wig size. Especially Yours carries beautiful wigs in a variety of sizes— petite, average, large—so you can be sure to find a style that looks great and fits perfectly. Choose the size that corresponds to your largest measurement in the size chart. Velcro® tabs inside each wig adjust up to 1″ larger or smaller. 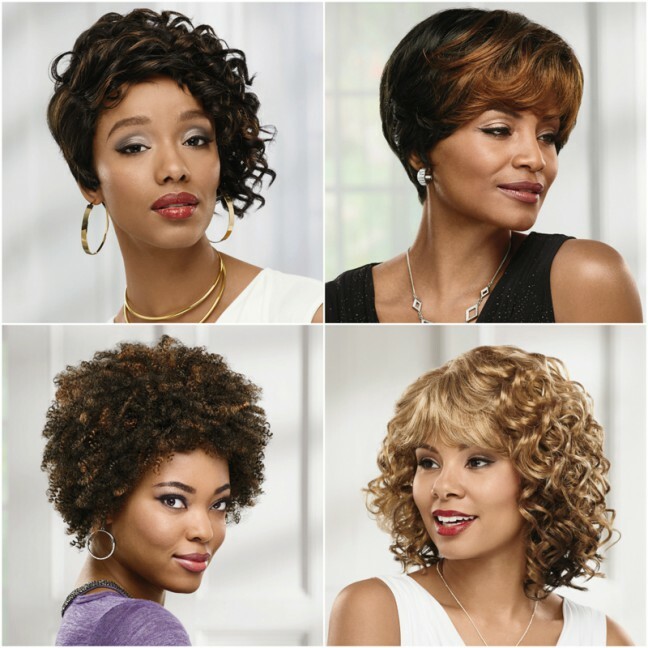 Introducing exclusive, new CUSTOMFIT wigs from Especially Yours…they’re all about a perfect fit and feel! If you’ve struggled to find a wig that feels right, stays put, and looks fabulous, look no further. With CUSTOMFIT, one size cap fits all! Each CUSTOMFIT wig is made with a unique four-way stretch cap that easily conforms to your head for maximum comfort and a perfect, custom-like fit. And to ensure a secure fit every time, CUSTOMFIT wigs feature combs at the front and back to keep the wig securely in place for easy, worry-free wear. With our new CUSTOMFIT Collection, Especially Yours continues to provide wig styles that look great, feel great, and fit great at fabulous, purse-friendly prices. Planning a night on the town and want a beautiful new wig to make you the life of the party? Attending a formal event or dinner party and looking for the perfect pair of shoes to complement your outfit? Or maybe you just need a new pair of “Sunday best” heels to match your church suit? Look no further! Especially Yours is your one-stop shop for all things shoes and wigs! Especially Yours offers a wide variety of styles and colors that will ensure you step out fashionably no matter where you go! With fab closed toe shoes starting as low as $24.99, you’re bound to find the perfect pair. Aiming for a timeless, classic look? You’ll never go out of style with our Ankle-Strap Pumps in black. Need some sparkle and a bit of bling? You can’t go wrong with a pair of Jeweled Lattice Slingbacks, and if you’re feeling bold and flirty, the Snakeskin-Textured Slingbacks in fuchsia are a must. Our personal favorite is the Toe Beau Pumps; the bow adds the perfect combination of sass and class that will be sure to make you a hit at any event. Shop now and find the perfect closed toe shoes today! Don’t forget to browse through our amazing selection of wigs for sale while you’re searching for your new shoe-mate. We strive to provide the best value, selection, and quality in wigs, and we’re sure our motto will ring true when your item arrives at your doorstep. Shopping on a budget? No problem! We have dozens and dozens of wigs for sale that will fit any occasion, anytime, anywhere. Prices start as low as $24.99, so feel free to buy an extra…or two! Especially Yours has the best gifts for under $50! 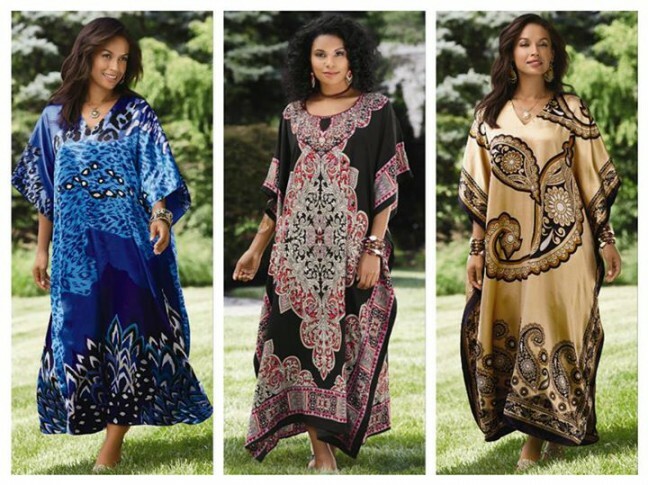 Our fab Best Buy caftans are bold, colorful, comfortable, and–best of all–affordable! Long, maxi-length caftans are just $12.99, and short caftans are just $10.99. On their own or paired with leggings or jeans, worn belted or jazzed up with jewelry, our comfortable caftans are perfect for everything from relaxing at home to covering up poolside to running errands to entertaining. With a dazzling selection of vibrant graphic prints, two lengths, and two fabrics to choose from, you’ll be sure to find the perfect caftans for the loved ones on your Christmas shopping list! Lace front wigs have fibers that are individually hand-tied to a nearly invisible poly-silk mesh lace section at the front, creating a seamless, completely natural-looking hairline that virtually disappears against your skin. The realistic, low-density hairline in lace front wigs allow off-the-face stylablity, further enhancing the natural look of lace front wigs. Shop Especially Yours for lace front wigs at the lowest prices online…150% guaranteed! Wrap It Up. I’ll Take It! Fall Fashion Is In! Fall is here…time to layer on the style! 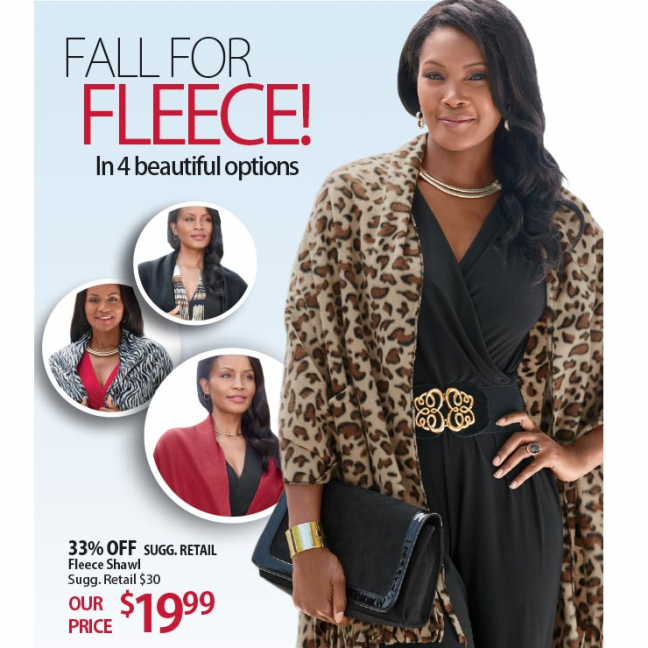 Shop warm, feel-good Fall fashion faves & save. From fleece wraps to lightweight knit sweaters, we’ve got you covered with our stylish selection of outerwear! Wig Accessories Make Care & Styling Simple! Especially Yours is more than just apparel and wigs for women. From wig stands and wig liners to wig shampoos, conditioners, and styling products, Especially Yours has the wig accessories you need to extend the life of your wig and to keep it looking as fabulous as the first time you wore it! For example, our five-piece Wig Care Starter Kit includes all the wig accessories you need to care for your wig in one convenient package! 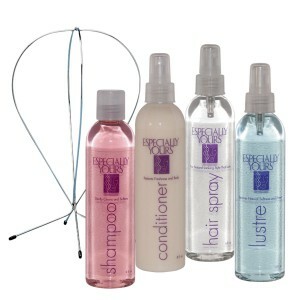 Our five-piece Wig Care Starter Kit of wig accessories includes a bottle of shampoo to gently clean, soften and improve the manageability of your wig; conditioner to restore your wig’s freshness and body; hair spray to offer a hold that lasts all day; lustre to add shine to your wig; and a wig stand for styling and storing your wig.